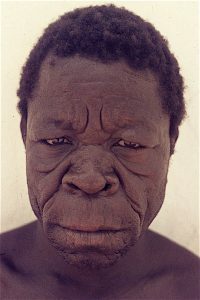 In 1950 the Sudan United Mission, an English protestant missionary organisation, founded the Mongu Leprosy Settlement on the Central Plateau in Nigeria,consisting of a fewhospital and outpatients buildings amidst three villages, where contagious patients were treated in isolation until they bore nomore leprosy bacilli. For most of them it wasa lifetime treatment. Doctor Frances Priestman was in charge until 1973.Staff members were recruited from smart leprosy patients who were trained briefly. An elaborate network of small outpatient treatment centreswas developed, spread over the northern and eastern part of the Plateau. 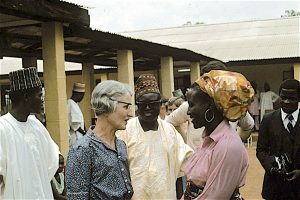 In 1974 the Netherlands Leprosy Relief Association started an extensiveprogrammeall over Northern Nigeria. 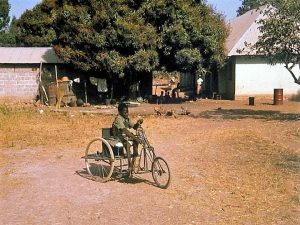 One of the first leprosy doctors Cees Spronk went to Mongu, as it was called then. About 100 patients were in the centre and 1100 were treated in the outpatient clinics.Cees Spronk was asked to modernise the leprosy care and to integrate itinto the general health care. More responsibilities had tobe given to the Nigerian staff.In 1975 the S.U.M. 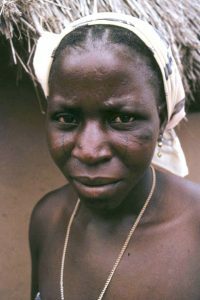 did this tooand thus the Church of Christ in Nigeria (COCIN)became fully responsible. In Mangu rehabilitation was taken up intensively and extended from leprosy patients to patients with general physical handicaps, mainly polio, but also clubfeet, deformities of the limbs , and so onwere treated. A workshop was built for prostheses, special shoes, crutches and other physical aids. 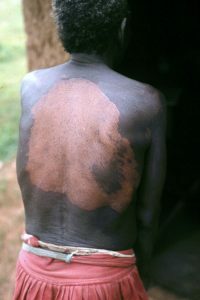 After Cees Spronk left in 1980 the hospital became more and more a general hospital, but leprosy care remained important. With the new medicines patients no longer had to be treated in the centre, but could stay at home. Hospitalisation was only necessary for complications such as inflammation of the nerves, infections and wounds of the limbs, etc. Many of the old patients stayed near the centre to live and work in the area. Others stayed in the centre for lifelong care. Finally only one village for leprosy patients was left near the hospital. 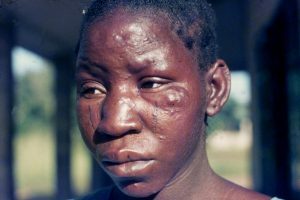 Until 2018 the specialised care for leprosy patients was supported by the Leprastichting, but then it withdrew from Nigeria, leaving a poor hospital with a huge problem: you cannot deprive patients from the necessary care, but they have no money to pay for it. StichtingFaridpur, with the support of Arend van de Venis, a leprosy doctor in Mangu from 1982 until 1986, decided totake care ofthe leprosy patients over there by donating € 3000.- a year.